Born and raised in Argentina, Mr Anchorena is a successful lawyer and banker that never gave up his passion for ranching and cattle raising. 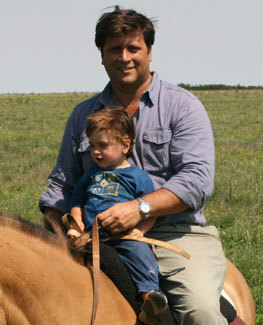 His main activities have always been dedicated to managing his ranches in Argentina and Uruguay. He pioneered cattle raising management as well as responsible land stewardship by engineering landscaping methods to prevent erosion and rainfall optimization. Today he serves as an S.R.A. 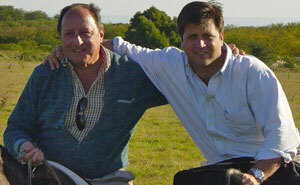 (Sociedad Rural Argentina) Director, Argentina’s most prestigious agricultural society as continues to be the main engine in his ranches management. Juan has taken the business approach to his agribusiness inheritance and completed his business studies in UC Berkeley California and later obtaining his MBA. With a deep-rooted passion for his ranching legacy, he decided to take on the business development and sales side of the business and founded a food marketing company in the US with the name of InterContinental Foods. Today the company serves as a food wholesaler in North America and acts as the main marketer for Anchorena Ranch beef.